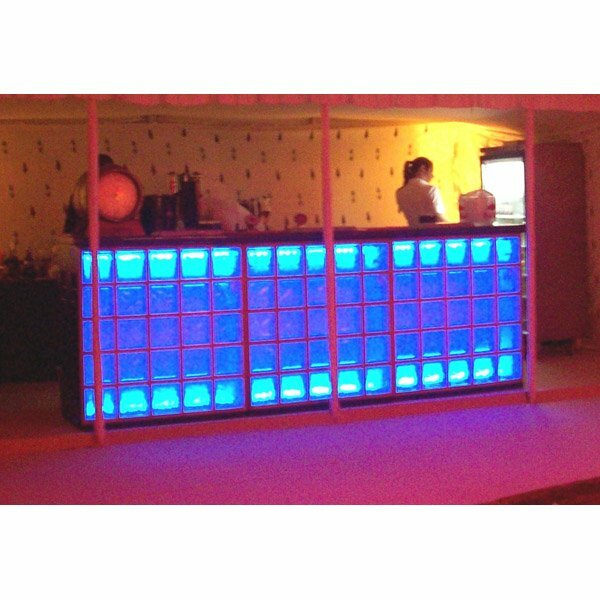 Picture shows three sections of illuminated bar in situ. The unit is fitted with 240volt operation LEDs and has a Glass Block frontage. A separate controller allows the user to select a range of colours or colour changing effects. 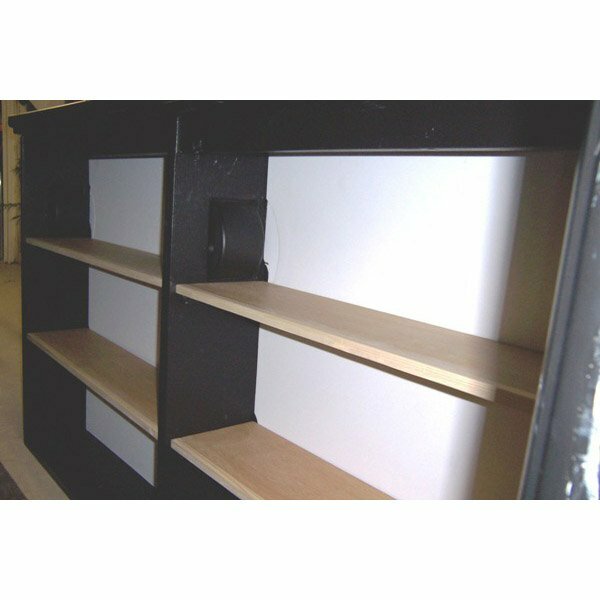 This unit comes in 1metre long sections and can be assembled in multiples.